If imitation is the sincerest form of flattery, then virtual event platforms may be well served by sending some flattery to social networks. This post is a compilation of past posts and looks at areas from which virtual event platforms can learn. What virtual event platforms can learn from Pinterest. What virtual event platforms can learn from Facebook. What virtual event platforms can learn from Quora, Groupon and FarmVille. What virtual event platforms can learn from physical events. What virtual event platforms can learn from the airline industry. Photo credit: The Pug Father on flickr. 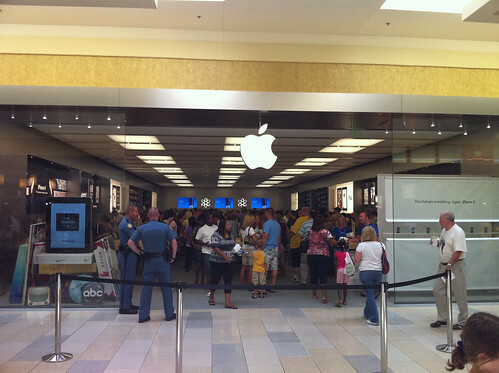 What virtual exhibits can learn from the Apple Store. What virtual exhibits can learn from farmers markets. This entry was posted on Monday, March 12th, 2012 at 6:05 AM and is filed under Virtual Events. You can follow any responses to this entry through the RSS 2.0 feed. You can leave a response, or trackback from your own site.